Wigan councillors and parish authorities have joined the town hall in voicing concerns about a neighbouring council’s development blueprint. A consultation period on a preferred options draft of West Lancashire’s local plan ended in December and the production of a final version is underway. 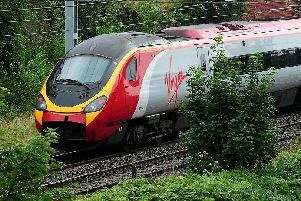 Wigan Council submitted an informal objection to its counterpart highlighting that industrial plans along the M58 corridor could ‘jeopardise’ aspects of the borough’s own future plans. Responses published by West Lancs reveal the Standish Conservatives group along with parish councils in Shevington and Wrightington have submitted their own concerns. Three sites earmarked for 300 houses in Appley Bridge will place ‘huge strain’ on the village’s existing infrastructure, the Wrightington Parish Council has said. Its response says the authority is ‘totally opposed’ to the locations being included in the plan. The sites – close to the border with Wigan – are around the junction of the A5209 and B5375. Although the draft document refers to infrastructure improvements, no specific details are included, they say. The response reads: “The Parish Council is concerned that accessing and exiting all the sites allocated would significantly compromise highway safety for both existing residents and those who would be new to the area. The sites; on land east of Appley Lane North, earmarked for 250 houses and industrial space, west of Sprodley Drive where 30 houses are planned and north west of Glenside where up to 20 houses could be built. Similar issues have been raised by the Shevington authority, with its response saying there are ‘grave concerns’ about congestion and HGV traffic. “Shevington Parish Council would like to see some evidence of what WLBC propose to do in order to improve these roads (B5375, Back Lane, Appley Lane North and A5209) and junction 27 itself and to mitigate the expected increase in traffic." A submission from the Standish Conservatives group – which includes Couns Adam Marsh and Ray Whittingham – says the Appley Bridge plans will have a knock-on impact on infrastructure in neighbouring wards. It reads: “The Local Plan Review does not provide for key vital amenities, such as easy access to supermarkets and further primary care provision. “As Standish is the closest larger conurbation, these additional pressures will likely fall upon Standish to bear, rather than villages and towns in West Lancashire. “Frankly, this is unacceptable to both ourselves, and the residents of Standish. In their consultation response, Wigan Council bosses said 170 hectares of industrial development along the M58 in Skelmersdale had the potential to over-load the M58/M6 junction at Orrell. This part of the plan ‘could potentially jeopardise our economic case for large scale logistics development at M6 Junction 25’, it added. Local plans outline planning policies and identifies how land will be used and what development is permitted there. West Lancashire has said it is considering the responses to the preferred option consultation and is preparing a final draft that will also be open to comments before being submitted to central government.